Adaptation finance continues to be neglected. There is virtually no progress in increasing the share of adaptation finance in overall climate finance, despite the objective to reach a balance between mitigation and adaptation. Worse, adaptation finance is too often provided as loans, rather than grants, indebting developing countries further, in order to address a crisis they had little or no role in causing. 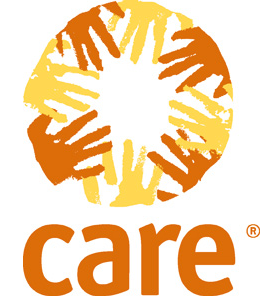 And developed countries usually over-estimate the actual support they are providing, by using a generous accounting methodology for projects where adaptation components are only minor or adaptation is only one of several objectives. Furthermore, there is still a lot of work to do to ensure adaptation initiatives – projects, programmes, policies – promote gender equality and human rights and integrate key principles of good adaptation practice. 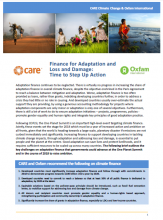 This Oxfam International and CARE brief outlines the key challenges on adaptation finance that governments could advance in the course of 2018 to raise ambition. 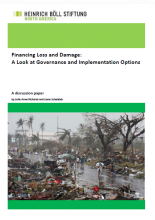 The report by Heinrich-Böll-Foundation explores a number of elements that urgently need to be addressed with regard to financing loss and damage under the Warsaw International Mechanism (WIM) and jhow this fits into the different channels of international climate finance.